Dynamically link customer service goals with inventory investments across your multistage supply chain,with our inventory management and service-level optimization software. Balance inventory levels, analyze crucial inputs and signals, and model the impact of decisions on global stock. 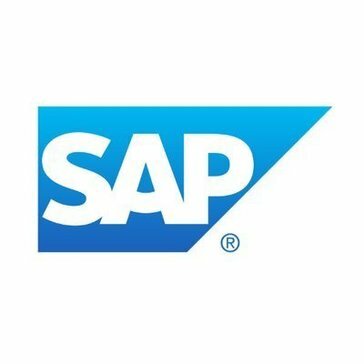 Work for SAP Enterprise Inventory and Service-Level Optimization? Learning about SAP Enterprise Inventory and Service-Level Optimization? I like that they have made the GUI so much easier to use than before. I do not like how difficult it is to use the quick links and integrated databases. We use it to store databases with multiple software platforms as well as integrate it with SQL. "User for SAP Enterprise Inventory "
I like where all of data about glass that made was in one local place. It was easy to navigate through the different fields. I wish the reports were easier to navigate through, because I would like to see more reports. SAP Enterprise Inventory was able to keep the data for glass that made the day before. It keep in a calendar order. I was able to send a report to my upper management. What Supply Chain Planning solution do you use? We are tracking our assets through the region that are spread across the state. AIMMS Prescriptive Analytics Platform is a unique advanced analytics, modeling and optimization platform that supports complex business decision making at every organizational level. Organizations can quickly create high business impact with apps that address both strategic and daily operational challenges such as supply chain optimization, strategic sourcing, pricing, workforce optimization, portfolio optimization and production planning and scheduling. Reduce the complexity of your planning process with multiple sources of information to improve business strategies and results throughout the organization, based on demand-driven sales and operations planning. SAS Demand-Driven Forecasting drives the development of the consensus forecast in conjunction with the sales and operations planning (S&OP) process. Manhattan Active Inventory allows you to finally achieve a single, holistic view of all aspects of your inventory strategy. From annual financial planning to daily replenishment reordering to periodic enterprise alignment of the plan, Manhattan Active Inventory provides the tools you need to ensure your inventory investment strategies are generating the maximum value and returns, to Push PossibleTM for your enterprise. CargoWise One is a single-platform software solution designed to increase your productivity and improve integration, automation, and communication with the supply chain. FuturMaster Sales & Operations Planning consolidates data relating to demand forecasting, business planning, production and supply in a single tool to anticipate and report on risks (reduced operations, risk of breakage or over-stocking, site capacity limitations) and to ensure aligned and collaborative decision making. FuturMaster Production Planning manages every stage of your production process (finished products, semi-finished products, raw materials and components), develops realistic plans (considering capacity and flow synchronisation) and optimises your operations (quality of service, use of resource, stock availability). Anaplan for Supply Chain takes a holistic approach to supply chain management enabling real-time visibility across the network, creating the ability to sense and drive demand, and facilitating a dynamic, collaborative S&OP process. Forecasts improve. Information walls are broken down. Connections are built. And achieving business goals becomes the rule instead of the exception. Manage direct sourcing and procurement for all supply tiers with unparalleled visibility, control and collaboration. E2open automates information exchange between partners to develop trust and confidence, leverage economies of scale and create more agile, responsive and efficient supply networks. * We monitor all SAP Enterprise Inventory and Service-Level Optimization reviews to prevent fraudulent reviews and keep review quality high. We do not post reviews by company employees or direct competitors. Validated reviews require the user to submit a screenshot of the product containing their user ID, in order to verify a user is an actual user of the product. Hi there! Are you looking to implement a solution like SAP Enterprise Inventory and Service-Level Optimization?